With return rates spiking the cost associated with processing returned merchandise back on the shelf has become a major pain point. Not only does it cost twice the amount to process an online return for resale as it does to sell it the first time, but by the time an item is returned, a newer product – that can be sold at full price – may now be on the shelf. This is often the case for specialty retailers with quickly rotating inventory. It’s no surprise then that more retailers are opting to sell their returned and excess inventory into the secondary market to offset loss. This goes beyond the spike in return rates too. In order to better understand the cause of this record-breaking growth - and how retailers can best leverage the secondary market to recoup losses and protect their brand - let’s take a look at what’s going on. Consumer behavior is shifting: Getting a deal on eBay, shopping at Ross or Goodwill, or hitting up a consignment shop to find a secondhand treasure is now brag worthy. Plus, people like the idea of sustainability. Social responsibility: Sending items to landfills is now socially unacceptable in the eyes of consumers and investors. Better recovery (minimize more loss): One of the biggest drivers of secondary market growth is the ability to offset loss from returned and unsold goods. Depending on what channel a retailer chooses, there is great opportunity to achieve high pricing. 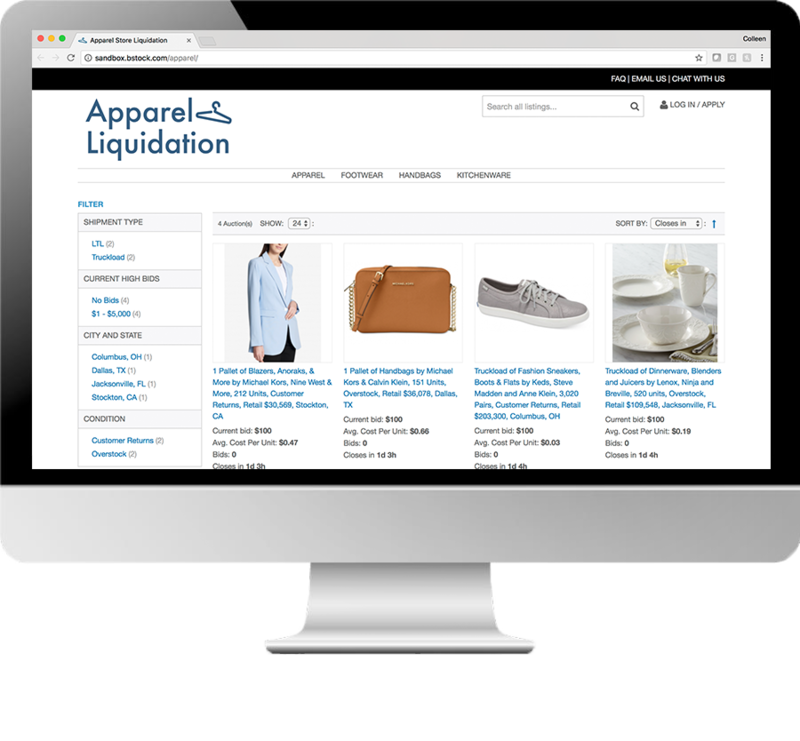 Even liquidation – if managed correctly – is becoming a viable option. Brand protection: Knowing how your merchandise enters the secondary market and who is buying is important. Many retailers are opting to own their own secondary channel(s) in order to have greater lifecycle oversight of their products and brands. This might include factory outlet stores or a branded business-to-business marketplace for selling bulk quantities of returned products. Newer technology-based methods for selling into the secondary market are also being leveraged. For example, many retailers are opting to build their own B2B marketplaces in order to auction bulk quantities of returned and excess merchandise to business buyers around the country. From salvage and discount store owners to online sellers to mom-and-pop shops, refurbishers and exporters, a robust buyer base exists for just about every product regardless of condition. What’s nice about an online auction channel is that it sets up a dynamic where many buyers are competing for the inventory; this pushes prices up, allows for a faster sales cycle, and reduces the cost of processing returns. Often it makes sense to partner with a vendor whose primary business is to provide remarketing solutions for returned and excess inventory. The best partners have extensive knowledge of the secondary market and can develop strategies to meet the retailer’s goals.